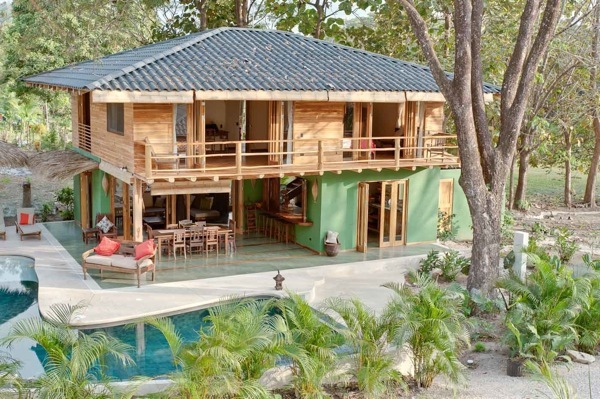 The perfect family or group retreat, Casa Kala enables you to slow down & unwind, offering the finest in jungle luxury living. 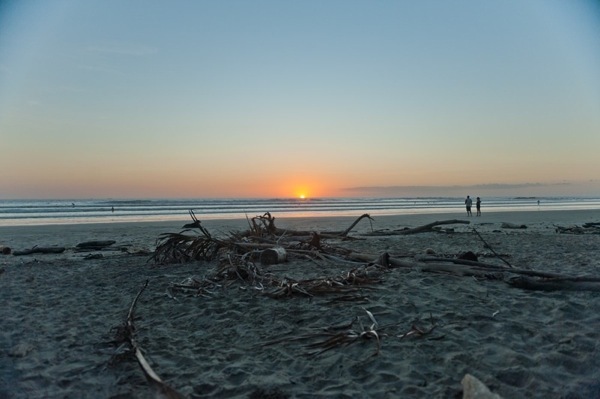 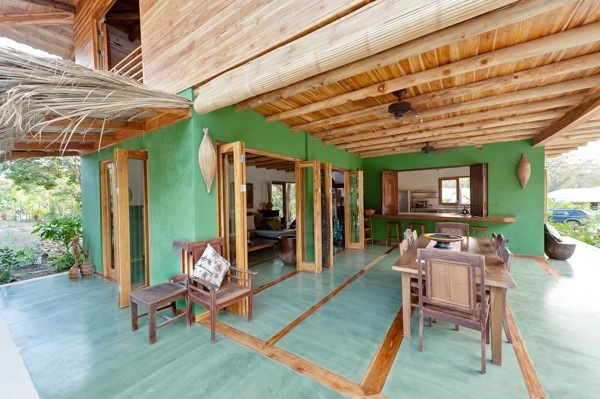 Only moments from Playa Hermosa with its amazing sunsets and surf, Casa Kala is an extremely spacious and colourful home with a large, private swimming pool, set amongst lush tropical gardens. 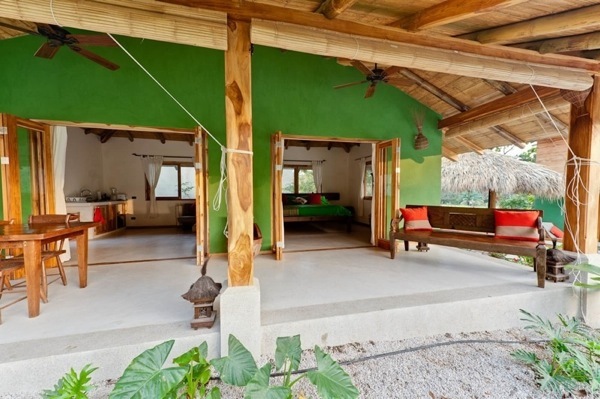 The entire property has been lovingly furnished with unique Balinese antiquities, including the beds, chairs, soft furnishings and wall hangings. 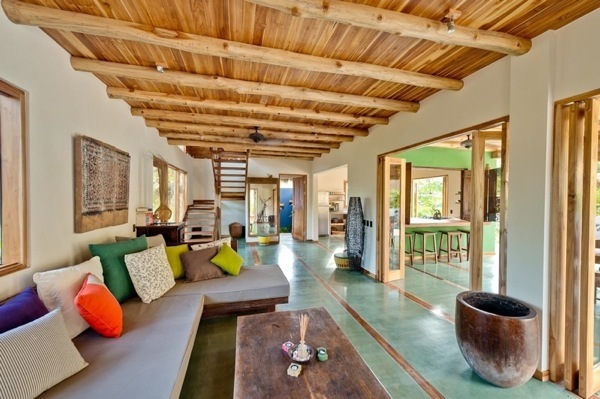 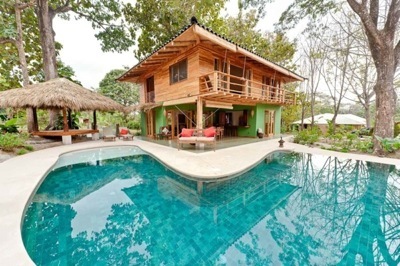 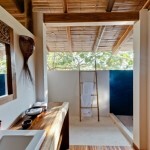 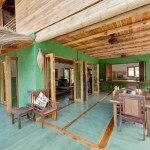 Casa Kala is the ultimate environment to slow down and get into the pura vida vibe. 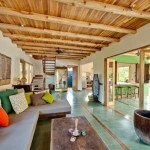 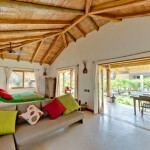 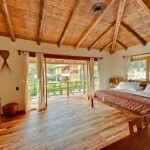 There are several comfortable spaces in which to relax or entertain, soaking up the sunshine or swinging in a hammock. 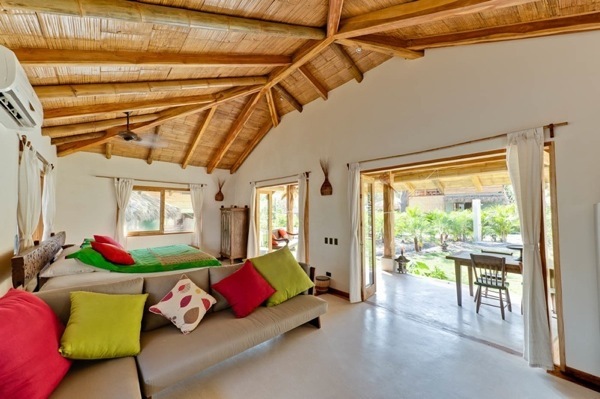 There is a fully fitted kitchen, A/C in all bedrooms, Wi-Fi, a sound system and Ipod dock, dining table that seats up to ten people, garden day beds and poolside shalla. 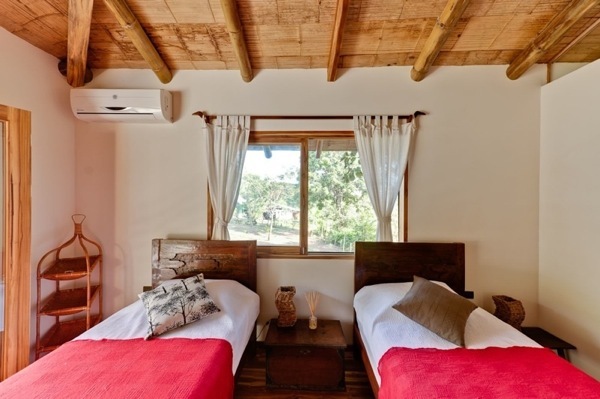 With three spacious bedrooms in the main house and another in the casita, the retreat can cater for up to ten guests or can even be rented separately. 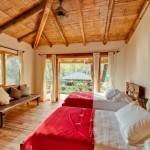 Each queen size bed has high quality mattresses and pillows and Egyptian cotton sheets. 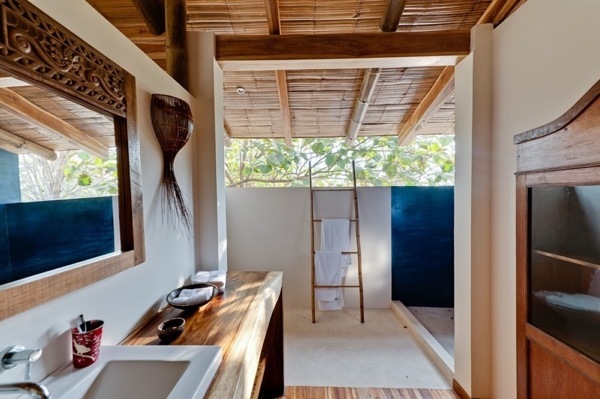 There are three open air bathrooms, all of which enable you to shower whilst watching the starry nights sky. 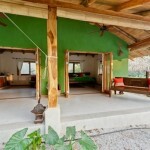 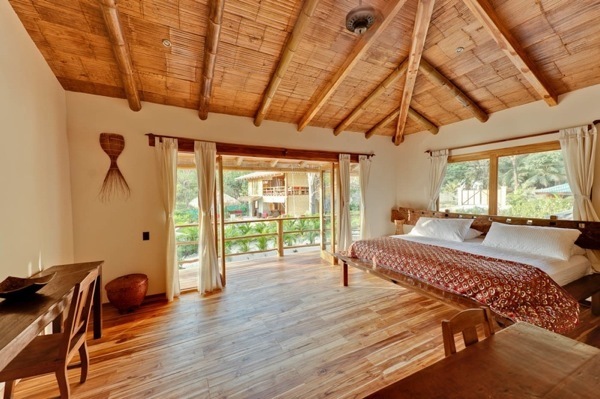 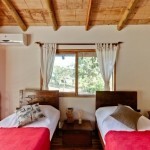 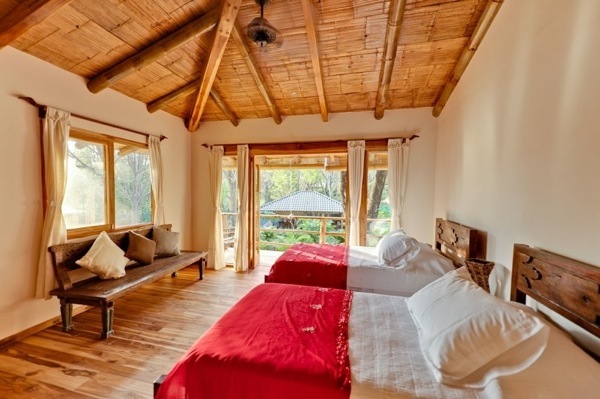 The casita is a self contained studio space that can sleep up to four people comfortably. 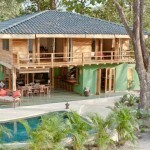 It has a fully fitted kitchen, outdoor shower room and spacious sleeping area. 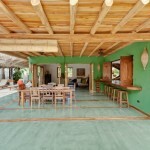 There is a spacious outside seating area for dining or relaxing too. 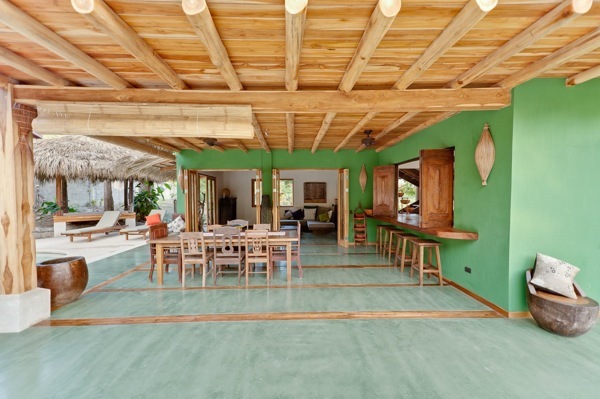 There is daily housekeeping and concierge service included for all guests, offering a whole range of services including private chef, massage, surf or yoga lessons, horseriding, tours to Tortuga Island, quad hire, fishing tours and much more. 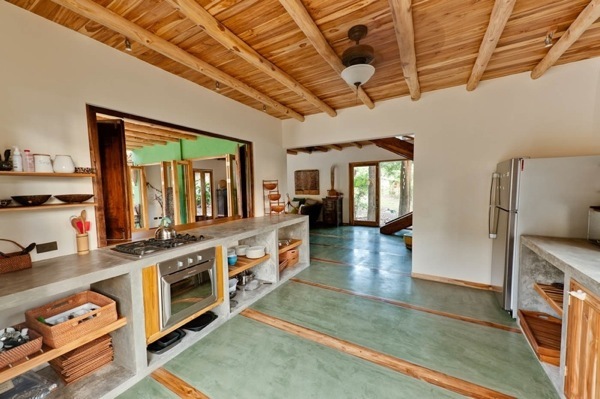 The house is also equipped with a laptop safe and as part of the exclusive Batik retreat, it also comes with a 24hr caretaker / guard. 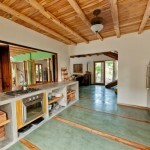 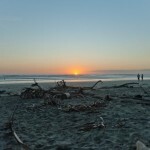 → $600 / night, Green Season | May – June & Sept. – Oct.
→ $200 / night, Green Season | May – June & Sept. – Oct.